The perpetrators are understood to be from Balbriggan. GARDAÍ IN NORTH county Dublin have increased their number of patrols around the Clontarf area after a number of muggings and threatening behaviour by a gang of youths in recent weeks. There has been at least three robberies from people in the area since Halloween, according to concerned residents in the area. In one incident late last week, two teenagers were chased through a housing estate after they were threatened with a knife. The perpetrators had attempted to remove one of the boy’s jackets but were scared off when a resident intervened. This is just one of a number of incidents in the area in recent weeks which have concerned locals. Gardaí are working on the theory that the same group of people targeting the area have previously focused on Portmarnock and Howth. The suspects are believed to be from the Balbriggan area of north Dublin. Additional garda patrols have been put in place to combat the incidents – all of which have taken place during the hours of darkness. Mobile phones and clothes appear to be the gang’s target of choice. Gardaí in Clontarf are urging residents to be mindful of their possessions and have advised locals to walk in well lit areas. 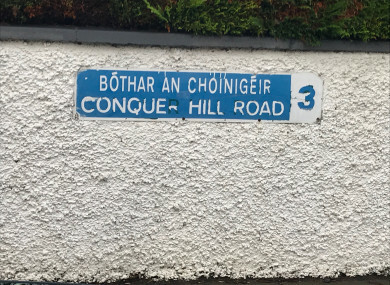 A statement released by the Clontarf Residents Association read: “The Clontarf Residents Association contacted gardaí seeking clarification on the matter. They have confirmed they are aware of incidents which have occurred since Halloween and that they have increased patrols in the area as a result. “One arrest has been made and Gardaí investigations are ongoing. The incidents have taken place during hours of darkness and the perpetrators are not from the area. In the last six months, Portmarnock and Howth have also seen a spike in the number of thefts from a person as well as incidents of intimidation and anti-social behaviour. Gardaí have confirmed to TheJournal.ie that they are investigating a robbery incident in the area from last month. Email “Additional garda patrols in Clontarf, north Dublin, after spate of muggings by group of teens”. Feedback on “Additional garda patrols in Clontarf, north Dublin, after spate of muggings by group of teens”.